EEIC provides students with the opportunity to engage in creative perspectives in dance and movement whose purpose is to integrate the mind and the body. We are passionate in inspiring critical thought and personal navigation of the therapeutic relationship and the intersubjective realm of human connection. 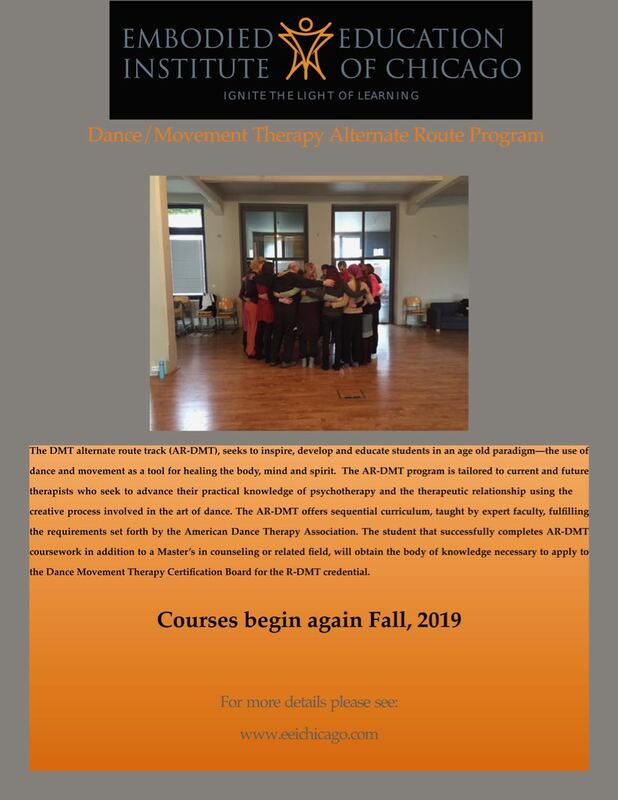 EEIC is accepting applications for the Alternate Route Dance Movement Therapy program starting Fall 2019! Deadline is June 1. EEIC has found its new home at Sway Dance Studios! Special thanks to Sway for their warm welcome. How do you become a more embodied mover or dance/movement therapist? A better choreographer? A more effective dance teacher? 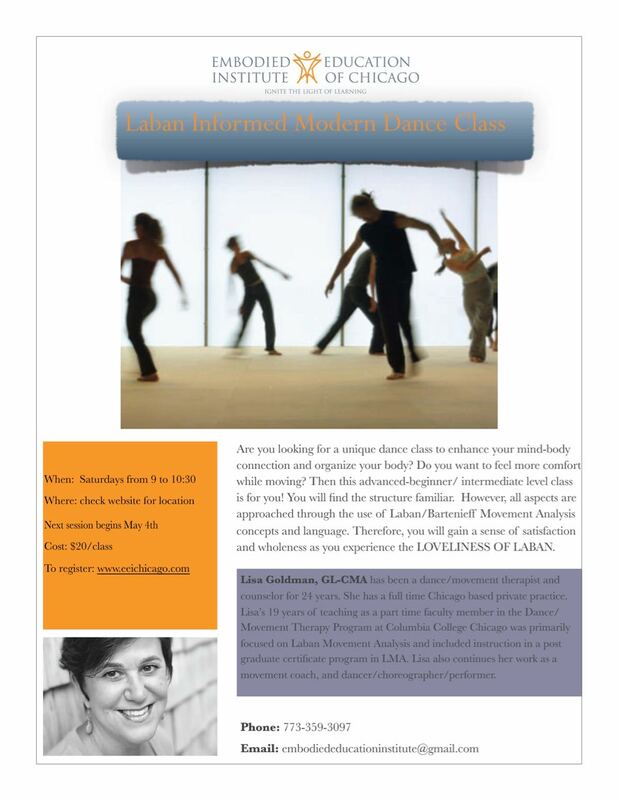 Master the taxonomy of Laban Movement Analysis. 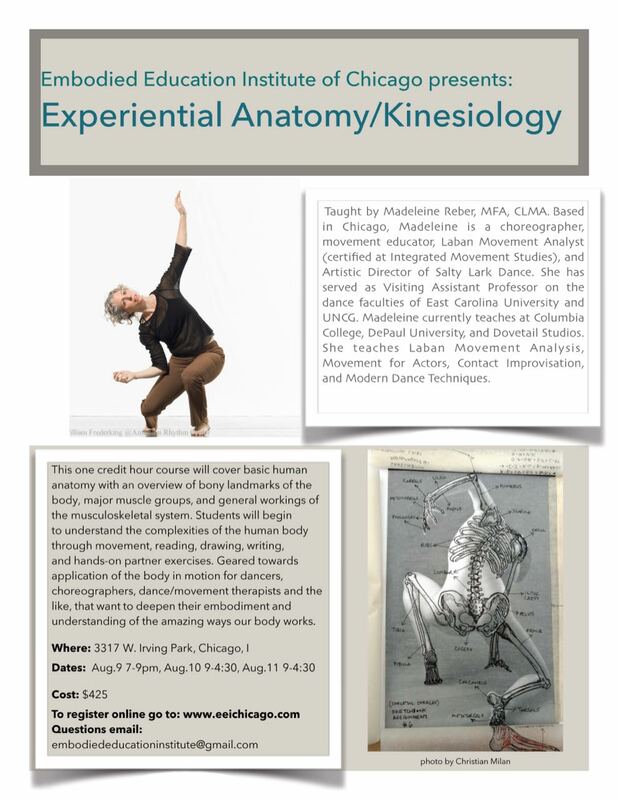 Join experienced faculty in Chicago for dance/movement therapy training that adheres to the standards of the American Dance Therapy Association. Learn about all of the hands on instruction available at EEIC, from continuing education for counselors and dance/movement therapists to certifications in movement analysis and dance/movement therapy.